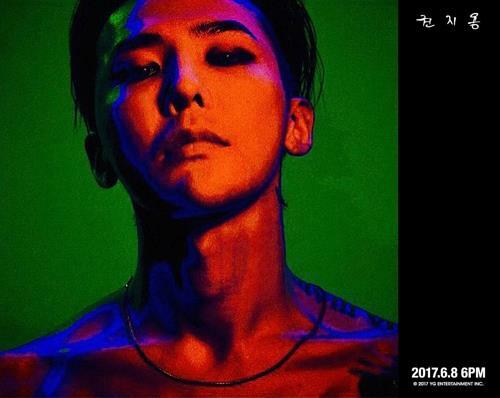 SEOUL, June 23 (Yonhap) — G-Dragon of K-pop band BIGBANG remained at the top of Billboard’s World Albums chart for the second week, according to the music publication Friday. Citing the latest sales figures compiled by Nielsen Music, Billboard reported that G-Dragon’s latest EP album “Kwon Ji Yong” ruled the World Albums chart for the second week in a row. According to Billboard “Kwon Ji Yong” sold 3,000 additional copies for the week ending June 15, pushing the EP’s cumulative total for the two weeks to just over 7,000 copies. “The achievement makes him the first solo K-pop artist and second K-pop act overall to have an album spend multiple weeks at No. 1 on the chart,” Billboard reported. Only BTS has logged multiple weeks atop the World Albums chart among K-pop acts. Upon release on June 8, G-Dragon’s latest work conquered Apple’s iTunes album charts in 39 countries around the world. In related news, BIGBANG’s “Fantastic Baby” has logged more than 300 million views on YouTube as of Thursday evening, becoming the most watched music video by a K-pop group to date, according to YG Entertainment.